Summer has flown by, as usual, and school is starting in most parts of the country. Those of us in the West are already in session, and you lucky folks in the Midwest and East have until after Labor Day to savor the last days of summer. 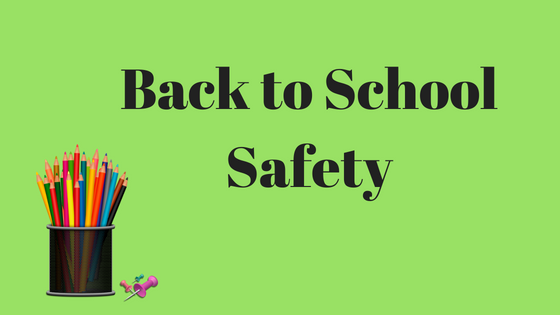 In addition to lesson plans, creating a welcoming classroom, and getting to know our new students, many of us have school safety on our minds. We are charged with one of the most important tasks – keeping children safe while they are with us. This is bound to cause some anxiety as the school year gets underway. 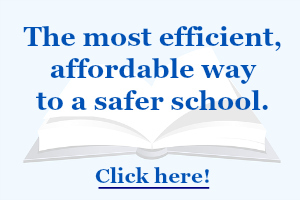 School safety can be broken down into five separate areas, which helps us to put it in perspective. Mitigation – the capabilities necessary to eliminate or reduce the loss of life and property damage by lessening the impact of an event or emergency; reducing the likelihood that threats and hazards will happen. Recovery – the capabilities necessary to assist schools affected by an event or emergency in restoring the learning environment and healing from the event. This includes a plan for business continuity. Implement a school climate or safety survey for students, staff and parents, to pinpoint areas that need attention. If you are looking for a survey to use, check out this school climate survey compendium. Foster a sense of belonging in your school community. Celebrate differences and offer a diverse menu of activities, mentoring and connectedness programs, so everyone has a place to call home. Train your staff to identify the signs of those who are struggling so they can support and refer those needing help. Review your crisis response plan. Ideally, this should be done every year, and no less frequently than every 3 years. We learn more every day in this field – you’ll want to be sure your plan reflects current recommendations. Add a new type of drill. If you haven’t done a reverse evacuation or a lockdown drill in awhile, schedule one today. Then, review the results with your staff so everyone can make adjustments if needed. I’d love to know more about your specific safety challenges and needs. Let me know by typing your safety challenges into this form. I look forward to hearing from you.